New Delhi: The sudden postponement of border talks between India and China, after India refused to agree to a Chinese demand to cancel an international religious meet which the Dalai Lama was to attend, is unlikely to cast a long shadow over bilateral ties. But on Friday, India’s foreign ministry in a statement said India was looking forward to the talks “in the near future" and the two sides will remain in touch to find convenient dates. Two people close to the development, who did not want to be named, later said China’s call for the cancellation of an international Buddhist convention in New Delhi that the Tibetan spiritual leader, the Dalai Lama, was to address—coinciding with the border talks—triggered the Chinese objections and the postponement of the India-China meet. 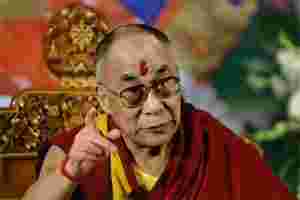 India repeated its position that the Dalai Lama is “a spiritual leader and an honoured guest" and it will not allow anti-Chinese activities on Indian soil. China considers the Dalai Lama, living in exile in India with hundreds of thousands of his followers, as a “separatist" who incites violence in Tibet. Many analysts say the flight of the Dalai Lama to India in 1959 with his followers and the Indian government providing them shelter was the cause of the 1962 India-China war. “I can see it from the Chinese point of view that it would have been embarrassing for Dai to be here at the same time as the Dalai Lama," said Arundhati Ghosh, India’s former ambassador to the Conference on Disarmament in Geneva. She pointed to the recent spate of suicides by Tibetan monks and nuns in China demanding religious freedom and the return of the Dalai Lama, besides the internal situation in the world’s most populous country in the run-up to next year’s leadership change. “The Indian position is correct. I don’t see this as India either standing up to China or accommodating China. I would say the Chinese have revealed their vulnerability," said Ghosh. “I don’t see India-China relations getting affected by this. I would say this is a blip in the negotiations." Srikanth Kondapalli, a professor in Chinese studies at Jawaharlal Nehru University, concurred. “The postponement of the boundary talks is not a major event. If the scheduled visit of the Chinese president, prime minister or foreign minister was deferred, it would have been a cause of worry," said Kondapalli. “This is nothing exceptional. It does not reflect a major souring of relations." China claims 90,000 sq. km of Indian territory in Arunachal Pradesh and occupies around 38,000 sq. km in Jammu and Kashmir. Also, under the China-Pakistan “boundary agreement signed in March 1963, Pakistan illegally ceded 5,180 sq. km of Indian territory in PoK (Pakistan-occupied Kashmir) to China", external affairs minister S.M. Krishna told Parliament last year. Though a breakthrough on the boundary issue was not expected, Menon and Dai were to expected to discuss many significant subjects, including details of a visit by Xi Jinping, vice-chairman of the powerful Chinese Central Military Commission. Xi is expected to succeed Chinese President Hu Jintao next year in October. Besides this, Menon and Dai were also expected to finalize a mechanism for direct communication between their Capitals to ensure greater coordination on managing the border dispute. They were also expected to discuss an annual defence dialogue between the two countries, a move aimed at reducing mistrust between the armed forces of the two countries, on 9 December in New Delhi. “We will have to wait and see if the defence dialogue is on schedule or whether Beijing postpones the defence dialogue because of India’s refusal to cancel the Buddhism conference," Kondapalli said. “That will be a pointer to what shape the ties are in. If the defence dialogue is postponed, then one can say there is a strain on relations." India-China relations have been buffeted by a series of issues in recent years. Ties between the Asian nations have remained mired in suspicion despite booming trade, which was about $60 billion last year, and joining of forces at international forums such as the climate change and Group of Twenty negotiations. China’s close ties with Pakistan—with which India has fought four wars—and more access for Indian goods into Chinese markets, Chinese opposition to Indian energy firms joining Vietnamese companies in oil and gas exploration in the South China Sea, and China issuing stapled visas to Indian citizens from Jammu and Kashmir, a policy officials say violates India’s sovereignty, are some of the irritants crimping ties. Reports of Chinese firms building infrastructure in the region of Kashmir administered by Pakistan have not gone down well with India either. Last year, India suspended defence exchanges with China when Beijing refused to give a visa to an army officer in charge of Kashmir. But that New Delhi allowed a senior army officer to visit China in June this year and the annual defence dialogue it is looking at in early December have been signs that the freeze on defence exchanges is off.